Meet descendants of those who took matters into their own hands to seek freedom for themselves and others. Six descendants of fugitive slaves and abolitionists come together in Brooklyn to discover more about their lineage. Documenting each person learning about their ancestors, and featuring renowned historian, Henry Louis Gates Jr., the film interweaves powerful personal moments with contextual historical anecdotes. 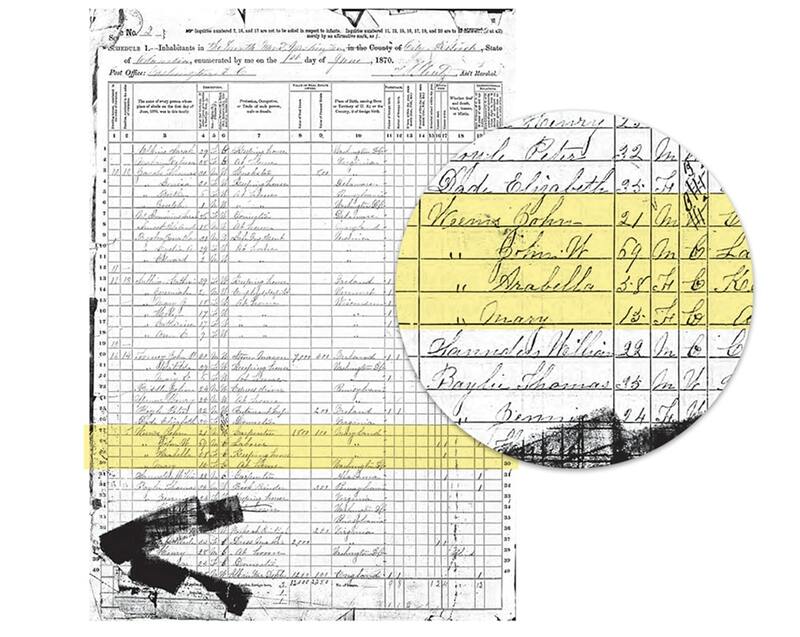 The very human story of the Underground Railroad unfolds through Ancestry records, each discovery revealing the dynamic impact our history has on identity, family and legacy. The film takes a personal look at how understanding our family’s past can influence not just who we are, but how we see ourselves. of those who risked their lives in hopes they make it. 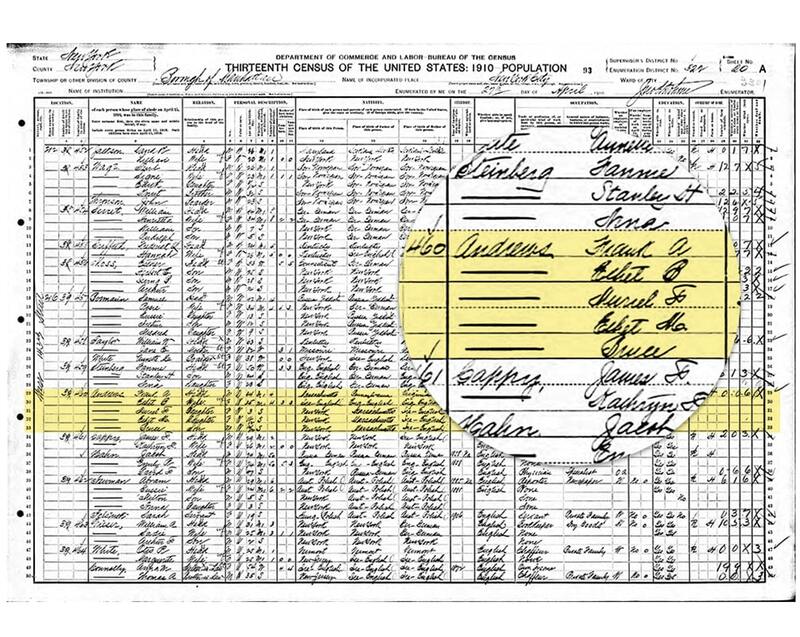 With Ancestry, you can trace the paths of your ancestors and uncover new parts of your family story. 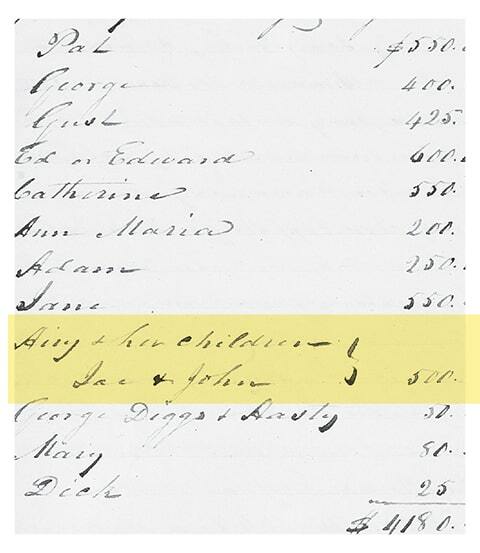 1849 probate record from Montgomery County, Maryland declaring Arabella Weems and her children would be given to their deceased owner’s daughter, Catherine Harding. This, in effect, stripped away any sort of protection Arabella once had over her children and they were all separated not too long after. It took eight years for Arabella’s husband John, a free man, to find freedom for his wife and kids. By 1858, the last enslaved Weems child, William Augustus, was finally free. 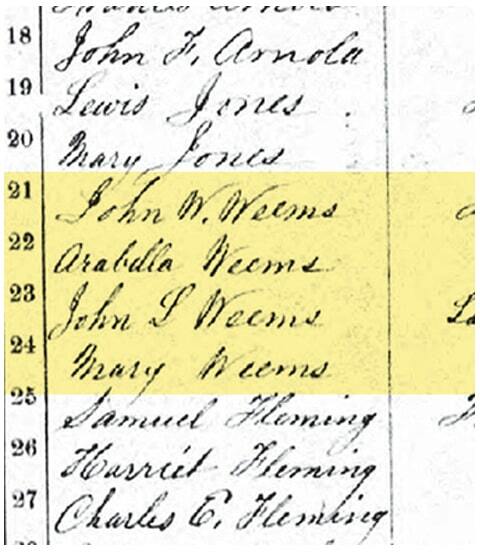 1861 Canadian census record showing a free John and Arabella Weems, along with their daughter Mary Weems, who was born free. Their first daughter, Mary Jane, had successfully escaped to Canada in 1850 and changed her named to Stella—in part for further insurance of her safety. It was her escape that gave John hope for all his children to be free one day. 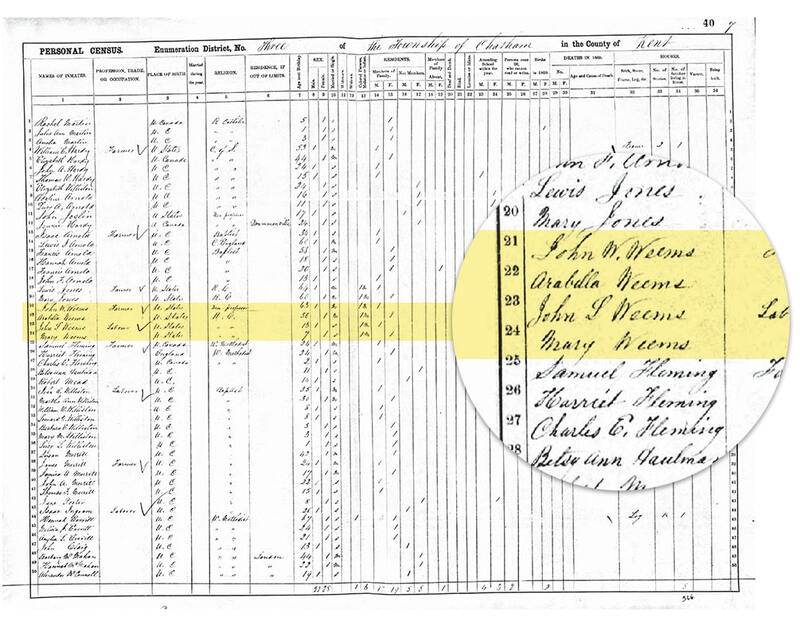 1870 U.S. census record showing John and Arabella Weems living with their son John and 15-year-old daughter Mary in Washington D.C. They had 10 children in total, but by this time five of them had already died. 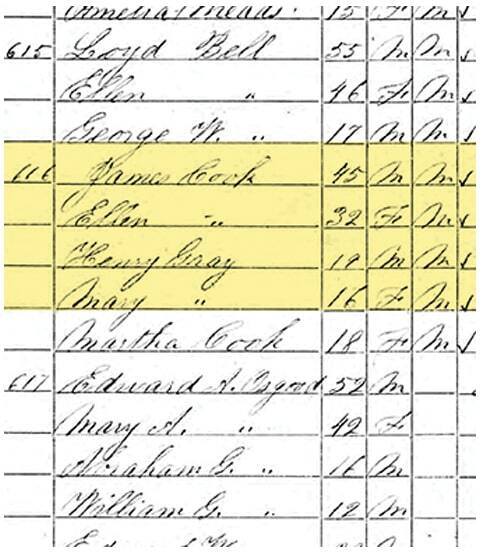 1860 census record that shows former slave Ellen Sophia Gray, and her children Henry and Mary Etta, settled in New Bedford, Massachusetts after fleeing towards freedom on July 4, 1856. 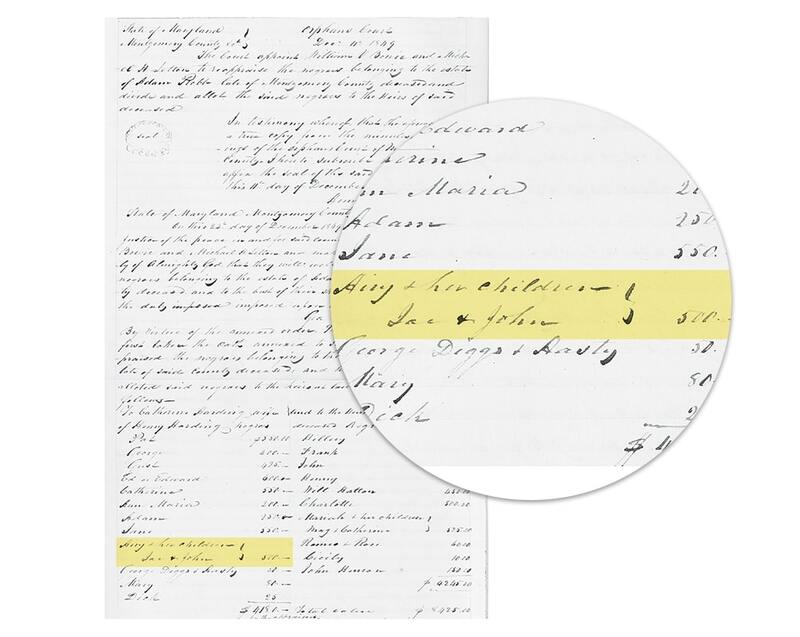 Sophia paid $57 for passage on a ship to Philadelphia and was sheltered in a stop on the Underground Railroad before taking a carriage to New York. 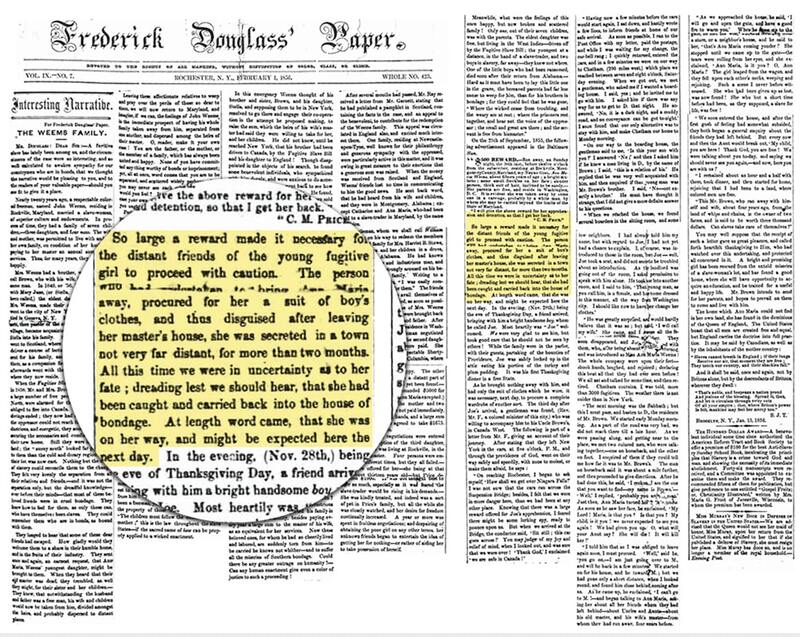 1856 front-page story in the Frederick Douglass’ Paper of the Weems’ family separation and journey to freedom—specifically the plight of the Weems’ youngest daughter Anna Maria’s escape. 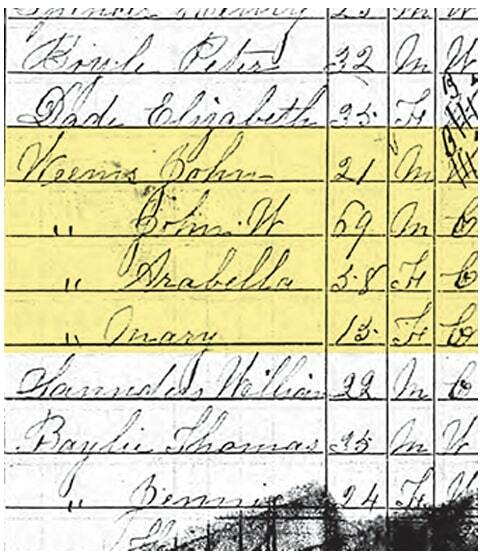 With the help of the abolitionist network, Anna Maria made her way from Rockville, Maryland to Brooklyn, New York disguised as a boy and was taken into safety by the Tappan family on the eve of Thanksgiving Day, 1855. From here, she was eventually smuggled into Canada, reuniting her with her aunt and uncle, and ensuring her freedom. 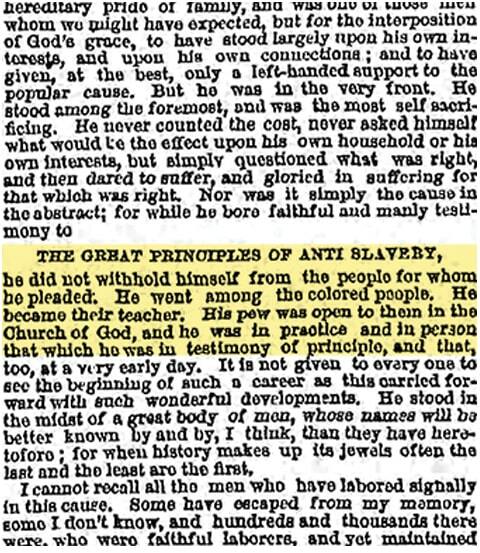 Lewis Tappan, a member of the Plymouth Church in Brooklyn—which once served as the “Grand Central Depot” of the Underground Railroad—took extraordinary risks in helping fugitive slaves in their pursuit of freedom. 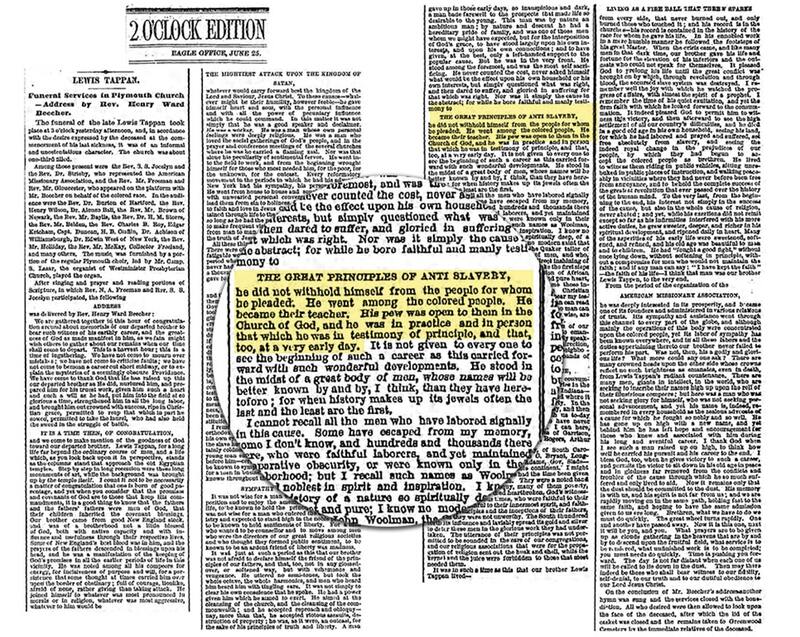 He became a key figure in the creation of a network of abolitionists in New York—and the importance of his work and conviction for equality was highlighted in Reverend Henry Ward Beecher’s eulogy for Tappan in 1873. 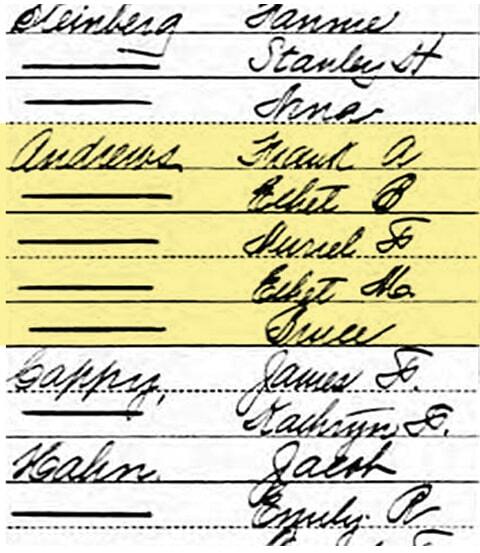 1910 census record listing Frank Andrews, grandson of Sophia Gray, as “White.” In earlier census records, Frank was listed as either “black” or “mulatto” (mixed race). 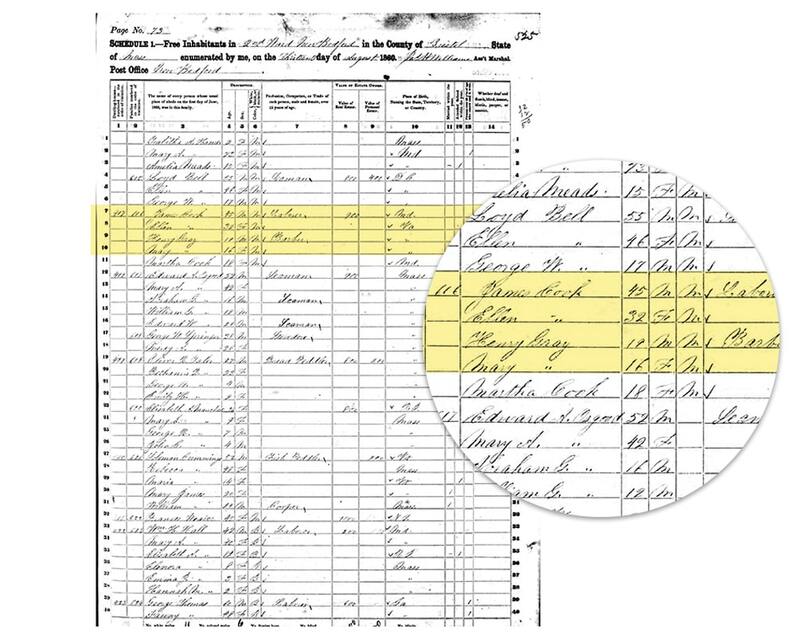 Sophia and her children were listed as being “lighter-skinned” in various accounts of their escape from slavery, so it is not surprising that Sophia’s grandson, Frank, would be able to “pass” for white in 1910 society, as he later became a silent film actor.